British tank crossing German trench at Vimy Ridge. All eight of the tanks available to the Canadians at Vimy broke down or were knocked out by enemy fire. 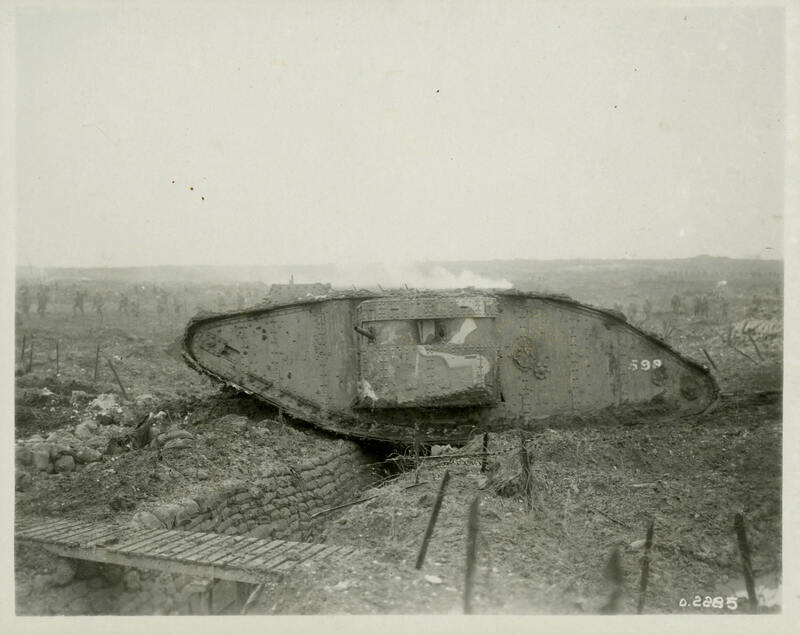 The slow-moving tanks were nevertheless useful in crushing barbed wire, terrifying the enemy, and supporting the infantry.